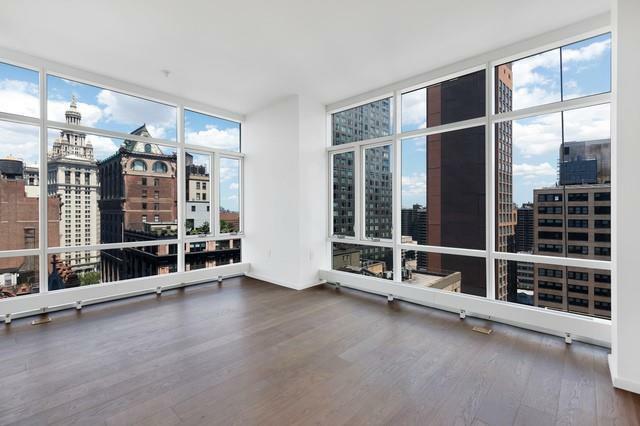 Corner one-bedroom apartment available at The Beekman Residences. 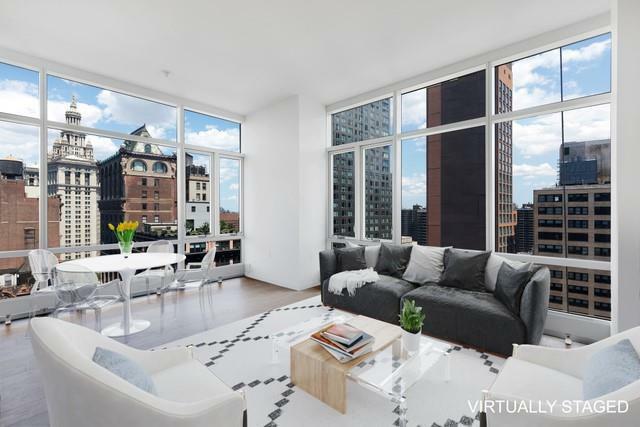 This spacious 1bd/1ba apartment offers ample light, with exposures north and east through floor-to-ceiling windows. Finishes include solid oak floors, and a marble/limestone bathroom. 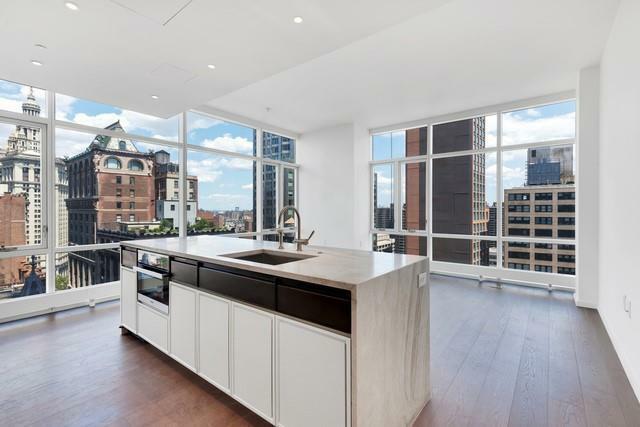 The open living and dining floor plan with windowed kitchen, is outfitted with custom cabinetry, Madreperola countertops, appliances by Miele, and ample closets. 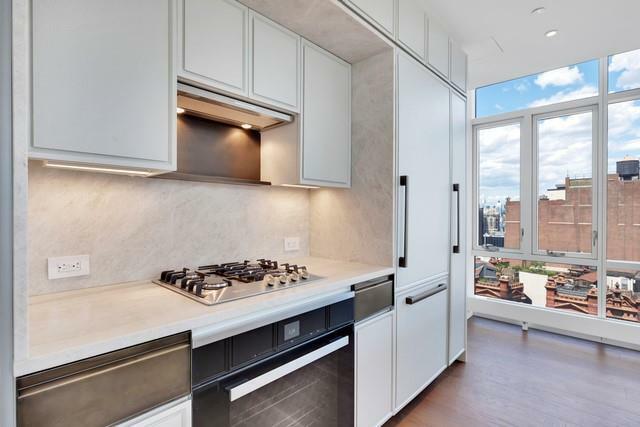 The Thomas Juul-Hansen designed condominium features views from 56 Leonard to the Manhattan Bridge, and right up to The Chrysler Building. A direct elevator ride or telephone call away are the exclusive services offered by the hotel. In residence dining provided by the Tom Colicchio restaurant. Personal training in the state-of-the-art fitness center, and priority reservations for restaurants at The Beekman overseen by Tom Collichio and Keith McNally. Listed by broker / owner. Listing courtesy of Arran Patel of Compass.